For ordinary folks, the true meaning of Christmas can get lost in the shuffle of December’s manic shopping, travel, and party planning. Even mindful, practicing Christians like Pastor McDougall at Spring Lane Creek Church can get overwhelmed by the details of Christmas services and temporarily lose sight of the real celebration that is Christ’s birthday. 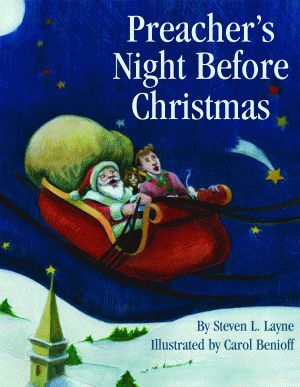 In Steven L. Layne’s Preacher’s Night Before Christmas, the Christmas Eve service is about to be performed at Spring Lane Creek Church, yet the last-minute rehearsal reveals several glitches. Poor Pastor McDougall finds himself in the middle of arguments, tears, and temper tantrums from his congregation. Between disagreements over the perfect child to play baby Jesus, the choir’s dislike of their robes, and the copy machine’s breakdown, even the most faithful have become frustrated. Enter Saint Nick. With a Bible in hand, he encourages Pastor McDougall to take some quiet time to revisit the passages that will remind him what Christmas is truly about. Moments later, revived by the lessons of the Good Book, Pastor McDougall returns to his congregation to inspire the same in them. Miraculously, they are already transformed. Smiling through their tears, they apologize for their behavior and rejoice in the glorious significance of Christmas. Award-winning author and educator Steven L. Layne serves as associate professor of literature and education at Judson University in Elgin, Illinois. He is a respected literacy consultant, motivational keynote speaker, and featured author at conferences and literary events worldwide. 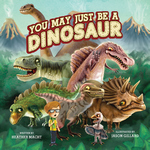 He has written a variety of books for children and young adults, including Teacher’s Night Before Christmas, published by Pelican. Carol Benioff is a native San Franciscan artist and illustrator living in Oakland with her two cats. Her work combines digital techniques with traditional printmaking, drawing, and painting mediums.